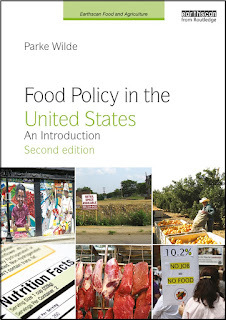 U.S. Food Policy is not the best place to find diet books. More commonly, we discuss what's wrong with diet books. The number one reason we do not have advertising in the margin -- ranking more important than our internal sense of nonprofit virtue -- is that most Google ads for our content would probably be for diet programs. Still, I enjoyed reading Jane Brody's surprisingly upbeat summary of the field this December. But I’m happy to say that there has been a tremendous improvement in recent years in the crop of weight loss guides. Most have been written by research scientists who avoid gimmicks and boring, overly restrictive or quick weight-loss schemes that are bound to fail. Instead, their recommendations are based on sound studies and clinical trials that have yielded a better understanding of what prompts us to eat more calories than we need and, in particular, more calories from the wrong kinds of foods. Among the books Brody favors are: The Volumetrics Eating Plan, by Barbara Rolls; Ending the Food Fight (Guide Your Child to a Healthy Weight in a Fast Food / Fake Food World), by David Ludwig; and The Instinct Diet, by my faculty colleague Sue Roberts. If U.S. food policy were designed by Sue, I can tell you the food system would be a different place (! ), with a pricing structure that favored fruits and vegetables across the board and many other changes as well. 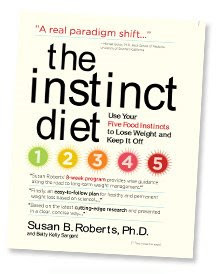 I got the Instinct Diet based on your recommendation, and overall I'm finding it works pretty well for me so far (about a week in). But can you ask Sue for me where on earth does one buy white wheat bran (as called for in the pizza recipe)? I just read an advance copy of "The Asian Diet" by Jason Bussell, an acupuncturist. I would recommend it highly. He gives a different way of looking at food. He says white rice is better than brown, calories don't matter, salads are not good for weight loss, and a lot of things that run counter to what I have been taught about food, but the way he presents it makes a lot of sense. There's a website www.theasiandiet.com that talks more about it.